Dr. Jerry Nelson constructs a model of his next telescope. Mauna Kea holds profound religious and cultural significance for Native Hawaiians. It embodies their divine ancestral origins and connection to Creation. At 13,796 feet / 4,205 meters in elevation on the Island of Hawai‘i, it last erupted about 4400 years ago. The now-dormant volcano is only 120 feet higher than its active neighbor Mauna Loa 27 miles to the south. Seen from below and framed by palm trees and azure waters, the snow-cloaked summit of Mauna Kea inspires awe and veneration—its Hawaiian name means “White Mountain”. The star-filled sky above offers unsurpassed clarity for some of the world’s most advanced telescopes as they unravel mysteries of the universe. Upon its flanks are hallowed Hawaiian sites, ancient paths, rare plants and animals, and a unique and fragile ecosystem. Please walk gently and respectfully on Mauna O Wakea, the Sacred Mountain of Hawai‘i. The photographer thanks Dr. Nelson and UCO / Lick Observatory staff for their support of this documentary endeavor. From left to right at the 1 meter Nickel Reflector: Friends of NIROSETI Gary Jaffe, Bill Bloomfield, and Susan Bloomfield. 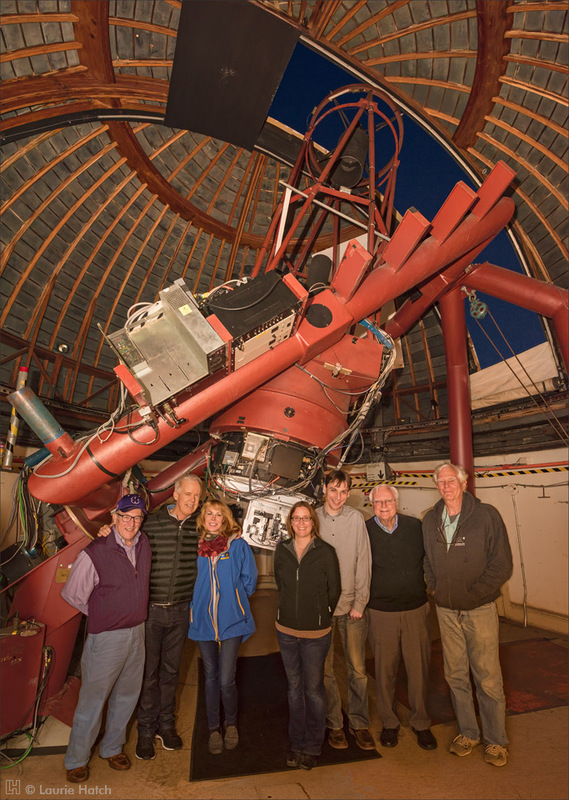 To the right of the NIROSETI instrument are team members Shelley Wright, Jérome Maire, Frank Drake, and Remington Stone. Also on the team but not shown are Dan Wertheimer, Richard Treffers, and Andrew Siemion. The NIROSETI instrument (Near Infrared Optical Search for Extraterrestrial Intelligence) is designed to detect as-yet-undiscovered nanosecond laser pulses from beyond our solar system. This innovative device is the only one of its kind in the world, the first capable of detecting such brief bursts at near infrared wavelengths.. The Anna B. Nickel 40-inch Reflector is named for the San Francisco seamstress whose generous and unexpected bequest provided funding to design and build this telescope. Constructed in-house in the late 1970’s, the Nickel presently occupies the first dome to be completed on Mt. Hamilton, at the north end of the Main Building. The dome originally housed a 12” Alvan Clark Refractor which was placed in service in 1881. Careful dome modifications accommodate the Nickel’s larger aperture. Wide angle lens distortion corrections were manually applied. Astronomer Frank Drake arrives for a night of observing with his collaborators at the Nickel 40" Reflector at Lick Observatory. Protruding from the bottom of the telescope is a rectangular instrument designed to detect as-yet-undiscovered nanosecond laser pulses from beyond our solar system. This instrument was replaced in March 2015 by the NIROSETI instrument (Near Infrared Optical Search for Extraterrestrial Intelligence), which was designed to detect as-yet-undiscovered nanosecond laser pulses from beyond our solar system. This innovative device is the only one of its kind in the world, the first capable of detecting such brief bursts at near infrared wavelengths. At the Nickel 1 meter telescope, astronomer Shelley Wright discusses the dichroic filter with her colleague Jérome Maire (only his hand is visible). Her right hand is holding a fiber that emits infrared light for calibration of the detectors. The NIROSETI instrument (Near Infrared Optical Search for Extraterrestrial Intelligence) is designed to detect as-yet-undiscovered nanosecond laser pulses from beyond our solar system. This innovative device is the only one of its kind in the world, and the first capable of detecting such brief bursts at near infrared wavelengths. Other team members include Patrick Dorval, Frank Drake, Geoffrey Marcy, Andrew Siemion, Remington Stone, Richard Treffers, and Dan Wertheimer. From left to right at the 1 meter Nickel Reflector: Remington Stone, Dan Wertheimer, NIROSETI instrument, Jérome Maire, Shelley Wright, Patrick Dorval, and Richard Treffers. Also on the team but not shown here are Frank Drake, Geoffrey Marcy, and Andrew Siemion. The NIROSETI instrument (Near Infrared Optical Search for Extraterrestrial Intelligence) is designed to detect as-yet-undiscovered nanosecond laser pulses from beyond our solar system. This innovative device is the only one of its kind in the world, the first capable of detecting such brief bursts at near infrared wavelengths. From the Berkeley remote workstation (about 70 miles away from Lick Observatory on Mt. Hamilton), astronomer Lauren Weiss monitors the Automated Planet Finder (APF), a fully automated telescope that is searching for planets around the nearest stars. 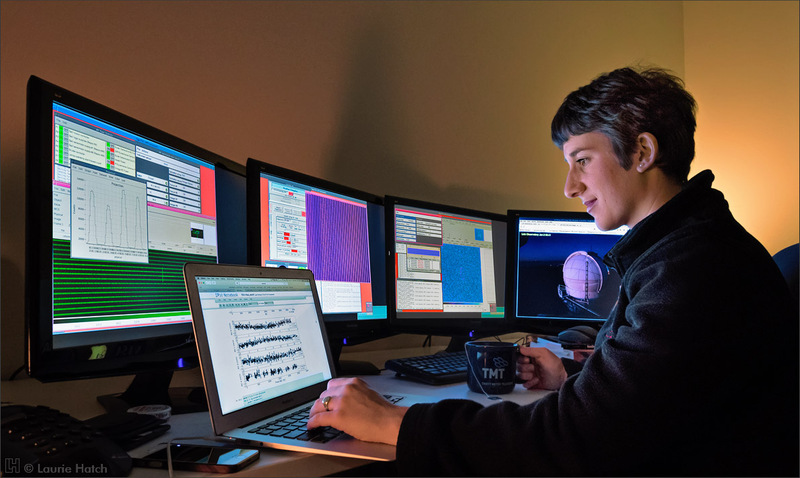 On her laptop, Lauren examines some preliminary data revealing planet discoveries while the APF runs. From right to left, the four workstation monitors show (1) the latest webcam view of the APF at Lick Observatory, (2) the guider image as the telescope moves from one star to the next, (3) the latest image of a spectrum from the telescope, in which is hidden the signatures of stellar motion indicative of planets, and (4) another view of the latest spectrum, along with the spectrograph controls. This image shows the simulated flow patterns on a massive short-period planet. The color scale has been chosen so as to mimic what the human eye might actually see. The simulations were done by James Cho, image processing by Greg Laughlin. This image has been digitally composited using three separate photographic and computer-generated elements, see description above. The photographer thanks Dr. Laughlin for his significant contributions to this documentary endeavor. "This spectrum shows dark absorption lines which appear because atoms in the atmosphere of the star absorb specific wavelengths of starlight. The presence of these lines reveals the chemical makeup of the star. By measuring subpixel shifts in the positions of these lines with respect to the grid of iodine lines, astronomers can measure the velocity of a star with a precision of one meter per second (or about two miles per hour)." accelerating, propelled by a mysterious "dark energy" that stretches the very fabric of space." Mauna Kea holds profound religious and cultural significance for Native Hawaiians. It embodies their divine ancestral origins and connection to Creation. At 13,796 feet / 4,205 meters in elevation on the Island of Hawai‘i, it last erupted about 4400 years ago. The now-dormant volcano is only 120 feet higher than its active neighbor Mauna Loa 27 miles to the south. Seen from below and framed by palm trees and azure waters, the snow-cloaked summit of Mauna Kea inspires awe and veneration—its Hawaiian name means “White Mountain”. The star-filled sky above offers unsurpassed clarity for some of the world’s most advanced telescopes as they unravel mysteries of the universe. Upon its flanks are hallowed Hawaiian sites, ancient paths, rare plants and animals, and a unique and fragile ecosystem. Please walk gently and respectfully on Mauna O Wākea, the Sacred Mountain of Hawai‘i. The photographer thanks the astronomers and Keck staff for their invaluable assistance in producing this photograph. As darkness approaches, Dr. Alex Filippenko's UC Berkeley Astronomy students begin observations at the Great Lick 36" Refractor. Dr. Elinor Gates moves the Great Lick Refractor into the next viewing position, while students from Alex Filippenko's UC Berkeley Astronomy classes await their turn at the eyepiece. Technicians Bob Owen (left) and Darrell Severinsen (right) carefully clean the interior surfaces of the two 36" lenses in the Great Lick Refractor. "On the 36" refractor; I started work on it in late 1986 and finished in 1988. I worked on this off and on during that time, with most of the work done in 1987. To start, I had made a spherical test plate to match the radius of the outer surface of the crown lens. This gave me a reference in radius and figure to work from. I first qualified the radius and figure using this 12.5" diameter test plate and found the figure irregular. The problem was that the outer region of that surface had trefoil of many waves, probably due to the support used to hold the lens during grinding and re-polishing in the early 1980's before I got here. It seemed easy enough to refigure that surface to a smooth spherical figure while maintaining the radius of curvature. My notes show that it only took 15 hours of careful polishing to restore that surface to 1/10 wave spherical, all the way to the edge. But the test of the objective in auto-collimation against a 40" flat showed spherical aberration of about 2 waves (single-pass). We didn't expect an asphere in the system, but had read that the Clarks sometimes did polish in an asphere to correct for glass inhomogeneities or lens spacing inaccuracies. It took some time to decide whether to figure that surface to an asphere to correct the test, or to do the work on another surface. After starting correction on that same surface, I think it took about 6 months before we decided it was as good as it could be and needed confirmation in the telescope. (Each polishing run, mostly corrected by hand, walking around the lens just like the Clark's did, was followed by re-assembling the objective in the cell and testing at the focus (is it 60 feet?) against the 40" flat, waiting for the glass to equilibrate and the floor to stop vibrating enough to get stable fringes.) Arnold Klemola, the most familiar with the quality of the image from the Clark's work, did the on-the-sky test in 1988. He deemed it as good or better than the original Clark lens." The photographer sincerely thanks Dr. Bolte for his extraordinary support of her photographic endeavors. The APF Spectrograph structure is bedecked with holiday cheer. Astronomer and instrument designer Steve Vogt is left, UCO software visionary-wizard Bob Kibrick right. Under construction in this 2006 image, this high-resolution spectrograph is optimized for precision Doppler measurements. The fully robotic 2.4 meter APF enables off-site astronomers to detect rocky planets of Earth-size masses within our local galactic neighborhoods. PUBLISHERS • This image is available in high resolution.? Research Astronomer and long-time Mt. Hamilton resident Remington Stone cleans the Right Ascension counterweight arm of the Great Lick Refractor. Considered to be an irreplaceable national astronomical treasure, the Lick 36” Refractor saw first light in 1888. At that time it was the most powerful telescope on earth. It remains the world’s second largest refractor. For over a century many significant discoveries were made, such as that of the fifth moon of Jupiter in 1892. In late summer of 2003, and again in fall of 2005, the close approach of Mars was studied and recorded. This impressive instrument is frequently used for public viewing and educational programs. The NIROSETI (Near Infrared Optical Search for Extraterrestrial Intelligence) instrument saw first light on the Nickel 1-meter Telescope shortly before this photograph was made. The Nickel is housed inside the Main Building's near foreground dome. NIROSETI team members are counting their 'lucky stars' that clouds did not prevent star light from reaching the instrument. Enjoying a celebratory walk under the night sky, astronomer Shelley Wright pauses in view of the camera. Wright's image is ghosted because she was stationary for only a brief moment during the camera's longer time exposure. Inside the dome, Jérome Maire, Patrick Dorval, and Remington Stone continue to test the instrument, albeit through changing clouds. Other team members include Frank Drake, Geoffrey Marcy, Andrew Siemion, Richard Treffers, and Dan Wertheimer. The NIROSETI instrument is designed to detect as-yet-undiscovered nanosecond laser pulses from beyond our solar system. This innovative device is the only one of its kind in the world, the first capable of detecting such brief bursts at near infrared wavelengths. Saffron colored low pressure sodium street lamps in nearby San José tint the clouds a soft orange-pink. In the Nickel 1 meter telescope control room, astronomers Shelley Wright (lower right), Patrick Dorval (left) and Jérome Maire (center) are shown with computers and other electronic components of the NIROSETI (Near Infrared Optical Search for Extraterrestrial Intelligence) instrument. 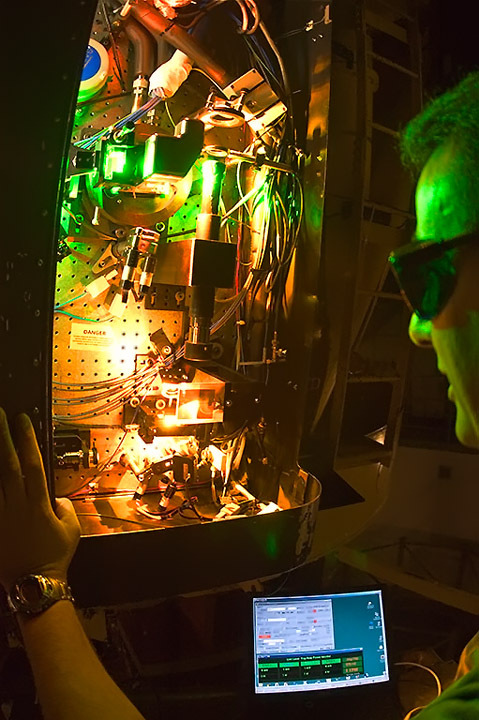 Coupled with the detector mounted on the telescope a few meters from the control room, this instrument is designed to detect as-yet-undiscovered nanosecond laser pulses from beyond our solar system. This innovative system is the only one of its kind in the world, the first capable of detecting such brief bursts at near infrared wavelengths. Other team members include Frank Drake, Geoffrey Marcy, Andrew Siemion, Remington Stone, Richard Treffers, and Dan Wertheimer. Astronomer Shelley Wright, Frank Drake, and Remington Stone have arrived for a night of observing at the Nickel 40" Reflector at Lick Observatory. Protruding from the bottom of the telescope is a rectangular instrument designed to detect as-yet-undiscovered nanosecond laser pulses from beyond our solar system. This instrument was replaced in March 2015 by the NIROSETI instrument (Near Infrared Optical Search for Extraterrestrial Intelligence), which was designed to detect as-yet-undiscovered nanosecond laser pulses from beyond our solar system. This innovative device is the only one of its kind in the world, the first capable of detecting such brief bursts at near infrared wavelengths. This photograph was made at Lick Observatory on 2015 January 6 at 1:15 AM. University of California Observatories Interim Director Claire Max (left) is discussing the night's program with fellow astronomers Lauren Schatz (middle) and Srikar Srinath (right). They are using the Shane Adaptive Optics Laser Guide Star system on the telescope. Shrikar says, "We were working on Schatz' senior thesis, and observing star clusters (NGC 2419 among them) to help characterize how well the new Shane AO adaptive optics system on the Shane telescope is doing." This is the first of a two night observing run, and they've already had a long day, preparing for the run and traveling to Mt. Hamilton. If all goes well with the weather and equipment, they have many more hours ahead of them on this long winter's night.  The reward is acquiring critical data for their research, and to test the new system. Sincere gratitude is extended to UCSC Astronomers Dr. Claire Max, Shrikar Srinath, and Lauren Statz, as well as University of California Observatories astronomers, technicians, staff, and friends. Special thanks go to Dr. Elinor Gates and the Mount Hamilton technical support staff for their generous assistance and invaluable collaboration in producing Lick Observatory photographs. Sincere gratitude is extended to UCSC Astronomers Claire Max, Shrinar Srinath, and Lauren Schatz, as well as University of California Observatories astronomers, technicians, staff, and friends. Special thanks go to Staff Astronomer Dr. Elinor Gates and the Mount Hamilton technical support staff for their generous assistance and invaluable collaboration in producing Lick Observatory photographs. 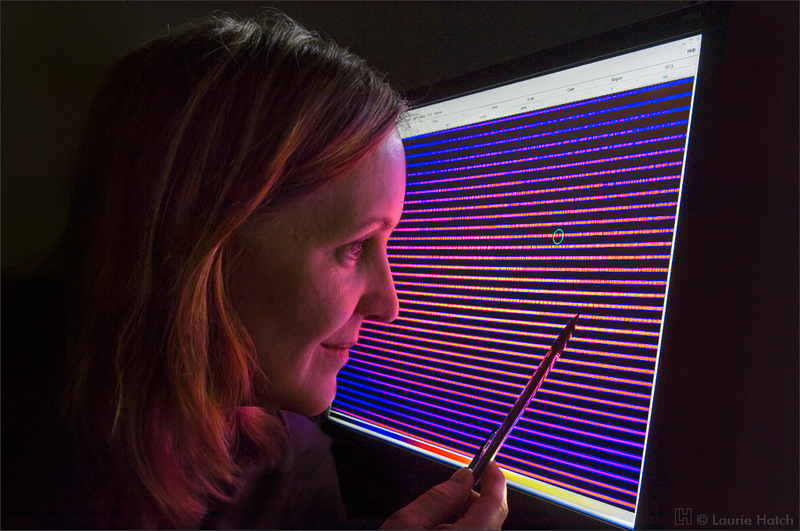 Principal Investigator Shelley Wright observes in the control room of the Anna B. Nickel 40" Reflector. Mounted on the telescope is an instrument designed to detect as-yet-undiscovered nanosecond laser pulses from beyond our solar system. This instrument was replaced in March 2015 by the NIROSETI instrument (Near Infrared Optical Search for Extraterrestrial Intelligence), which was designed to detect as-yet-undiscovered nanosecond laser pulses from beyond our solar system. This innovative device is the only one of its kind in the world, the first capable of detecting such brief bursts at near infrared wavelengths. Astronomer and Lick OSETI Principal Investigator Shelley Wright is flanked by collaborators Remington Stone (left) and Frank Drake (right). They are in the control room of the Nickel 40" Reflector, and in the midst of a video conference with Geoffrey Marcy at UC Berkeley. (Note that Dr. Drake has arrived with provisions for the night's observing: a bag of home-baked chocolate chip cookies, and almost enough m&m's for everyone.) Mounted on the telescope is an instrument designed to detect as-yet-undiscovered nanosecond laser pulses from beyond our solar system. This instrument was replaced in March 2015 by the NIROSETI instrument (Near Infrared Optical Search for Extraterrestrial Intelligence), which was designed to detect as-yet-undiscovered nanosecond laser pulses from beyond our solar system. This innovative device is the only one of its kind in the world, the first capable of detecting such brief bursts at near infrared wavelengths. The Anna B. Nickel 40-inch Reflector is named for the San Francisco seamstress (shown in the framed photograph on the desk) whose generous and unexpected bequest provided funding to design and build this telescope. Constructed in-house in the late 1970’s, the Nickel presently occupies the first dome to be completed on Mt. Hamilton, at the north end of the Main Building. The dome originally housed a 12” Alvan Clark Refractor which was placed in service in 1881. Careful dome modifications accommodate the Nickel’s larger aperture. University of California Research Astronomer Remington Stone lived and worked at Lick Observatory on Mt. Hamilton for 42 years. Here he is shown on the roof of the Main Building, with the Nickel 1-m Reflector in the background. Mounted on the telescope is an instrument designed to detect as-yet-undiscovered nanosecond laser pulses from beyond our solar system. This instrument was replaced in March 2015 by the NIROSETI instrument (Near Infrared Optical Search for Extraterrestrial Intelligence), which was designed to detect as-yet-undiscovered nanosecond laser pulses from beyond our solar system. This innovative device is the only one of its kind in the world, the first capable of detecting such brief bursts at near infrared wavelengths. "Debra Fischer is a professor of astronomy at San Francisco State University. Since 1997, she has been detecting extrasolar planets and has participated in the discovery of more than 100 worlds orbiting nearby stars. She is the author of more than 100 refereed professional publicatiions, including a landmark paper showing the correlation between the chemical composition of stars and the formation of planets. Dr. Fischer is now working on a robotic telescope that will be commissioned at Lick Observatory in 2007 to detect earthlike planets capable of hosting organic life." 2014 UPDATE: Dr. Fischer is now a Professor of Astronomy at Yale. The Solar Spectrum appears courtesy of National Optical Astronomy Observatory/Association of Universities for Research in Astronomy/National Science Foundation. Astronomer Dr. Geoffrey Marcy at Lick Observatory. This image was photographed at Lick Observatory inside the Shane 3m control Room. Pictured are UC Santa Cruz Associate Professor of Astronomy Connie Rockosi (http://www.ucolick.org/~crockosi/), left, and UCSC Project Scientist Renate Kupke, right (http://www.astro.ucsc.edu/about_department/people/singleton.php?&singleton=true&cruz_id=rkupke). "In April, 2014 a powerful new instrument, ShaneAO, was commissioned on the 3-meter telescope at Lick Observatory. ShaneAO, coupled with a new crystal fiber-based laser guide star (to be deployed in early 2015) represents a significant advance in adaptive optics capabilities for Lick Observatory. It utilizes a high-order, high-bandwidth 'wavefront sensor' to measure the distortions caused by the Earth’s atmosphere, and two 'deformable' mirrors to optimally compensate for the distortion. The system produces sharp, clear images that rival those of a space-based telescope, at shorter wavelengths than previously possible." This is a depth of field composite of two successively shot images at different focus points, to ensure precise focus on both individuals. Sincere gratitude is extended to UCSC Astronomers Connie Rockosi and Renate Kupke, as well as University of California Observatories astronomers, technicians, staff, and friends. Special thanks go to Staff Astronomer Dr. Elinor Gates and the Mount Hamilton technical support staff for their generous assistance and invaluable collaboration in producing this photograph. Many celestial images are very faint, such as those that lie in the most remote regions of the universe. Earth’s turbulent atmosphere blurs celestial images that arrive at the telescope, making observation and analysis difficult. But an extraordinary new technology is revolutionizing ground-based astronomy. This 12-watt laser beam creates a bright “artificial star“ high in the atmosphere, along the line of sight to the object being observed. Astronomers then measure the atmospheric disturbance, or twinkling in the artificial star, and make rapid counter-corrections by continually deforming a small flexible mirror in the light path. Both laser “star” and faint target object then come into precise focus, yielding substantially better data than would otherwise be possible. The photographer thanks Tony and Bill, and UCO/Lick Observatory staff for their support of this documentary endeavor. Astronomer Paul Butler discusses his planet search program in the Keck I Control Room at Keck Headquarters in Kamuela. The monitor on a shelf at upper left shows the Keck I Observing Assistant in a live video feed from the control room on the Mauna Kea summit. She has a monitor that is simultaneously showing Paul in Kamuela. Paul's observing colleague Steven Vogt has stepped out of the room. Astronomers Paul Butler (left) and Steven Vogt (right) search for evidence of extrasolar planets on an array of monitors in the Keck I Control Room in Kamuela. Astronomer Steven Vogt is searching for planets in the Keck I Control Room at Keck Headquarters in Kamuela. His observing colleague Paul Butler has stepped out of the room. Former Lick Observatory Director Joseph S. Miller is at the podium during the OsterbrockSymposium in July 2004. While serving the UC system as Director of UCO/Lick Observatory (1991-2005), Miller oversaw completion of the highly successful twin Keck Telescopes in Hawai‘i, followed later by launching of the Thirty Meter Telescope project. In addition to his own work as talented designer of sophisticated and enormously productive astronomical instruments, his many years of leadership of the Lick Instrumentation Laboratory cemented its reputation as the world's best source for reliable and useful forefront astronomical instruments. Miller was one of the founders of the NSF Center for Adaptive Optics, headquartered on the UCSC campus. Miller and R.R. Antonucci originated what has become the "standard model" explaining the many curious manifestations of active galactic nuclei. Former University of California Observatories Director Joseph Miller with the Kast Spectrograph on the Lick Observatory 3m Telescope. As Director, Dr. Miller guided the observatory through the formative years of the Keck Telescopes, and launched UC's participation in the Thirty Meter Telescope project. The Shane 120" Reflector was the second largest telescope in the world when it was completed in 1959. It bears the name of former Lick Observatory director and astronomer Donald Shane, who spearheaded its development. The mirror was originally a test blank for the Palomar 200" Reflector, then the world’s largest telescope. (Pyrex glass was invented specifically for use in these mirrors.) Although the Shane is modest in size by current standards, state-of-the-art research progresses in several fields, including adaptive optics and laser guide-star programs. The recently upgraded and highly productive William and Marina Kast Spectrograph is attached at the lower end of the telescope. William Sheehan, left, and Donald Osterbrock, right, are attending a colloquium reception in the Center for Adaptive Optics lobby at the UC Santa Cruz campus.s. Technician Keith Baker adusts telescope coordinates in the control room of the Shane 3-meter Telescope, while Astronomer Chris McCarthy looks on. British born University of California astronomer E. Margaret Burbidge is a truly remarkable astrophysicist. This gentle, soft-spoken, extremely talented and capable scientist, in addition to being an outstanding astronomer, did much to make the profession more fully open to women. Early in her long career, she was lead author on an epochal paper which first described the nuclear processes which create elements in the interiors of stars. She has been a very active observer with a broad expertise in spectra of stars and galaxies, and is a pioneer in the early study of then-enigmatic quasars. As founding Director of the Center for Astrophysics and Space Sciences at UC San Diego, she was deeply involved with instrumentation for the Hubble Space Telescope. She is a Fellow of the Royal Society, served as Director of the Royal Greenwich Observatory, President of the American Astronomical Society, President of the American Association for the Advancement of Science, and has been the recipient of many other awards and distinctions. Planet hunter Geoff Marcy anxiously awaits completion of the 2.4-meter Automatic Planet Finder telescope at Lick Observatory. The anticipated performance of this dedicated and robotic facility may enable discovery of other earth-like planets. As part of the Lick Observatory Summer Programs, Dorothy Schaumberg is seen speaking at the podium (far side of the group of people) on the beautiful dome floor of the Great Lick Refractor. She is entertaining visitors with the fascinating history of this historic California institution. She enjoyed doing these talks for many years, as a natural extension to her decades of service to the Mary Lea Shane Archives of Lick Observatory, located on the UCSC campus, where she served ultimately as Curator. When her talk is concluded, the chairs will be whisked away, the lights turned off, and visitors will peer through the Great Lick Refractor at the evening's pick of celestial delights. Shelley Wright (left) and Michael McElwain (right) are finding a break during a long set of integrations using the Keck Observatory's Adaptive Optics system and the integral field spectrograph OSIRIS. 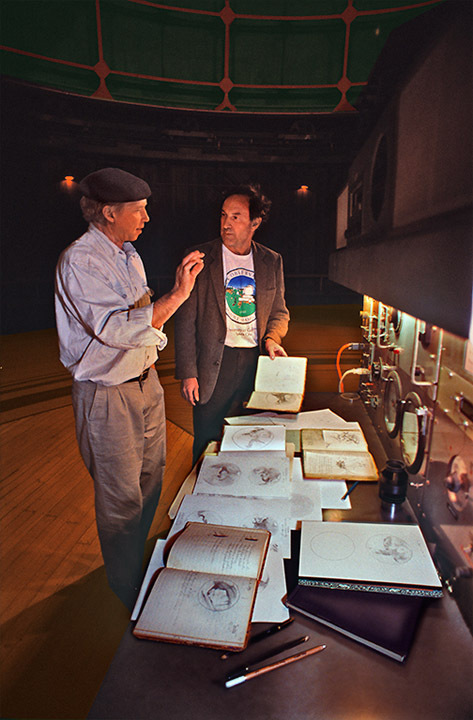 When this photograph was made, both McElwain and Wright were part of the OSIRIS instrument team which helped in the implementation and commissioning of the instrument with Professor James Larkin at UC Los Angeles. Here they are attempting to image close planet companions to bright young stars. OSIRIS was designed by Larkin to work specifically with the Keck AO system and to dissect tiny portions of the sky. It can analyze light from over 3000 adjacent regions simultaneously, allowing astronomers to measure the chemical makeup of objects, as well as rotations and more complex motions over an extended area.